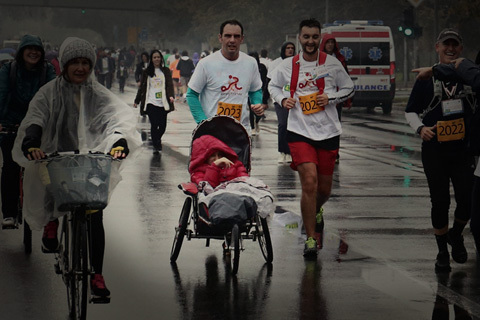 Every marathon in the world should have a carriage-pushing team. 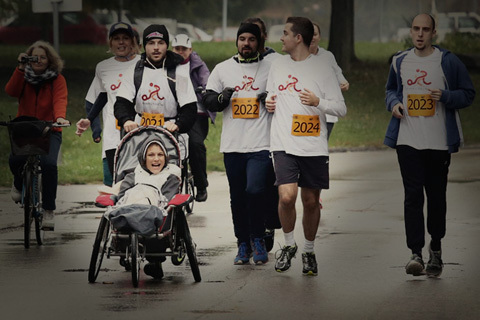 The Running-Together.org website was established to share the beauty of running in road races with special needs children. 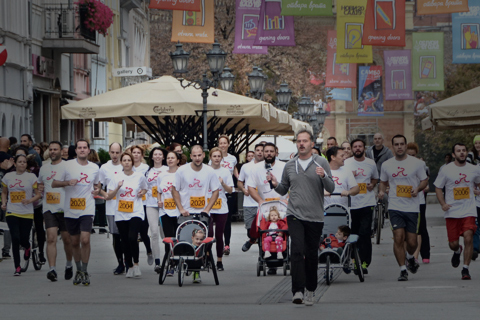 Our goal is to simply support others around the world in starting charities similar to that of Running With Those That Can't, founded in 2009 in the Czech Republic and featured in the Documentary Film - 'The Road Less Run'.